As I write, someone is in the bell tower pulling the rope that rings the campana — a clarion call to gathering. 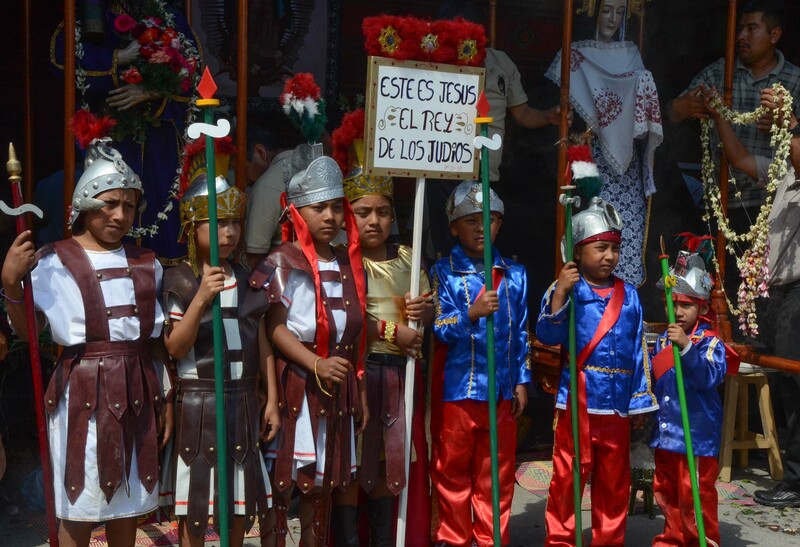 Today is El Lunes Santo in Teotitlan del Valle, Oaxaca. You still have time to catch a taxi or colectivo from Oaxaca to arrive for the 9 a.m. mass in the Preciosa Sangre de Cristo church. Afterward, the procession will begin from the church courtyard and wind through the village, an all day event. Just listen for the music to find it! Teotitlan del Valle is divided into five different administrative units that are part of the Municipio, the volunteer usos y costumbres municipal governing body. Each of the five sections will host resting places along the route that symbolizes the Via Dolorosa and the Stations of the Cross. On Good Friday, there will be two separate processions — one carrying the Christ and the other the figure of Mary. 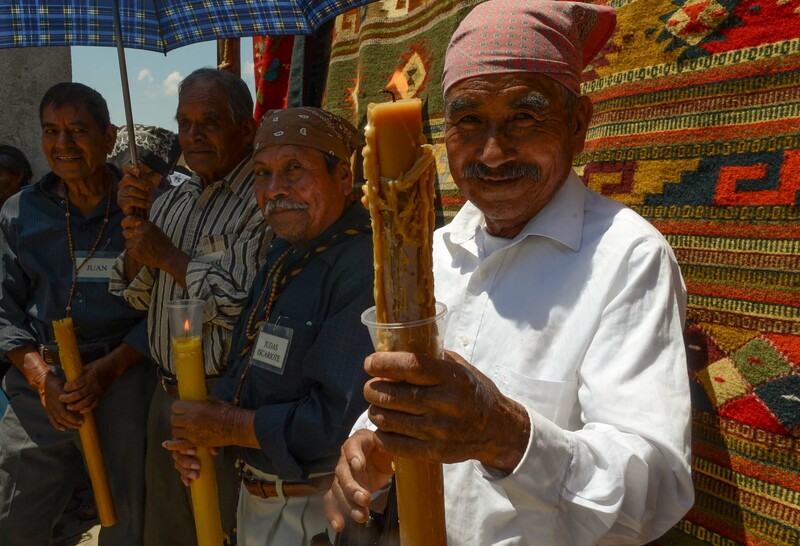 They will come together in the village municipal courtyard in front of the rug market where a mass will be celebrated before they are returned to the church. Easter Sunday is a quiet day here, celebrated in the home with an elaborate meal and gathering of extended family. 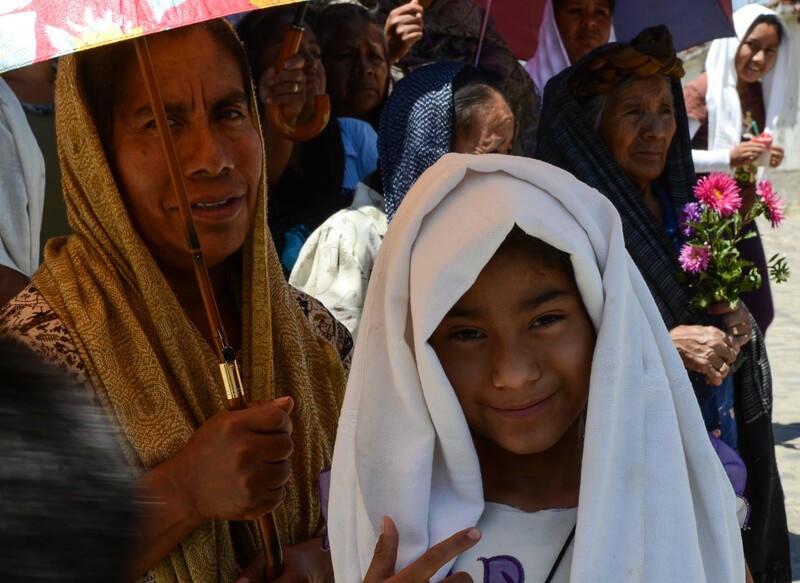 This entry was posted in Oaxaca travel, Photography, Teotitlan del Valle, Travel & Tourism and tagged culture, Easter, Holy Week, Lunes Santo, Mexico, Oaxaca, religion, Semana Santa, Stations of the Cross, Teotitlan del Valle, traditions, Zapotec. Bookmark the permalink.